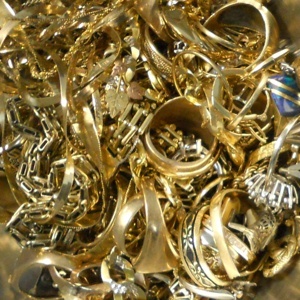 Recycle and sell your Gold Scrap for Diamond Recovery for the highest price with Specialty Metals, the top choice in the US for secondary refining of Gold, Silver, Platinum, and Palladium scrap. Payment Schedule: You will be paid immediately upon completion. What Kind of Gold Scrap for Diamond Recovery Can I Recycle? Karat gold jewelry scrap containing diamonds. We will dissolve your scrap and recover the diamonds. All metal will be paid for under the rates quoted. The diamonds will be returned to you or we can make an offer to purchase them.